No images of ElectSolar Installations. I initially got interested in solar because of an initiative from our regional council for retirees. Their supplier was going to be from near Melbourne, and this is a fair distance from us. 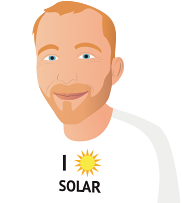 So I got your recommendations for local suppliers, and was very impressed with ElectSolar who fit the bill admirably. Thank you for bringing me up to speed with technical aspects of solar. And the whole fitout by ElectSolar took only 4 hours, with the inspection happening a couple of days later. So it was all really quick. Also thankyou for supplying a review of available power companies (particularly the green ones) to help us decide to stay with our current supplier PowerShop. You may be interested to know that I too worked for CSIRO with the Division of Atmospheric Physics in Aspendale, Victoria. In 1969 my first full-time employment as a technical assistant there included flying weekly from Essendon Airport in the government Fokker F-27 over Bass Strait, collecting the atmospheric samples used to monitor the Southern Hemisphere CO2 concentrations. Global warming did not seem such an urgent issue then However, with today's concerns, it helped us in our deciding to go solar because we spend so much more time at home now that we are retired. In this regard you were also able to point out the solar panel companies with the least environmental impact in their manufacture, and again it was a factor in our decision making. I am happy to report that the solar system installation process has been a very good experience. We chose Elect Solar from Wangaratta to install our 3.2 kw system. Their price was competitive. Tier one Canadian panels. The inverter is a "Solis" made by the Chinese company Ginlong. Elect Solar have been using these for several years without any major problems. Our research has shown that these are well supported in Australia and ours has a ten year warranty. The quality of the installation is excellent. Very neat. The system has so far been doing its thing without fault since installation on 31/8/17. The system installed comes with long term warranties which was a prerequisite for me. The installation is incredibly neat, which is important to me being ex-building industry. The tradesmen were organised, prompt, quick, and took care of my property. Although my system is more expensive than most due to a meter change requirement, I am pleased with the result and decision to go solar. 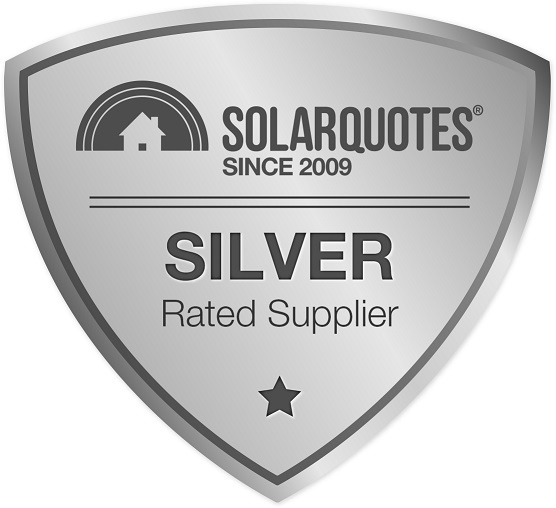 We received a quote from Cola Solar (Bendigo), who very helpful and informative and the system price very competitive. Only they contacted us of the three suppliers recommended by you. However, in the end we went with Elect Solar who are a local business to us, and who have personal and business commitments in north east Victoria. Starting with no knowledge of Solar Power I found researching the actual panels was very confusing with limited opportunities to compare product. I know each brand of panel had an information sheet but I was not prepared to openly accept that information coupled with the fact the each installer generally only offered 1 or 2 panels, one slightly cheaper than the other and claiming that their panel was better than the opposition. I would have preferred REC panels but my installer could not offer them so I finished in the end with 250w SunEarth panels and SMA Inverter. In your system size I quoted 6Kw but actually installed 5.5Kw. I also found selecting a system size difficult because of the varying information given by electricity providers and their lack of help in comparing Transitional Feed In Tariff (under 5Kw) and One for One Tariff (over 5Kw). It seemed on each occasion I called the same provider that I would get different information. Allister provides an A1 Professional Customer Driven Service. I am totally impressed with his advice, feedback and suggestions. His staff have rung pre installation to re confirm installation date of 28th May 2012.